The conservatory leads into the spacious lounge-diner with wonderful old oak beams and a feature fireplace which enhances the traditional feel of this cottage. 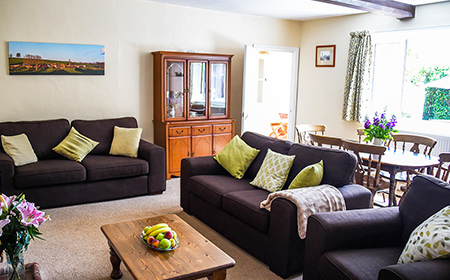 The cottage can sleep up to six people plus a cot if required. To see inside the cottage please visit our gallery page. 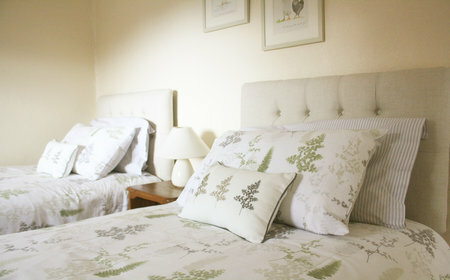 The master bedroom has been decorated in a neutral country style and has a large comfortable king size bed. There is also a TV with DVD player. 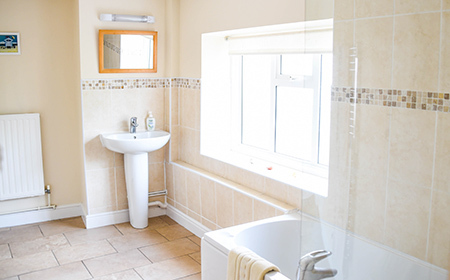 In addition, the room has an ensuite shower room. You will find this twin room through a door which leads off from the master bedroom. 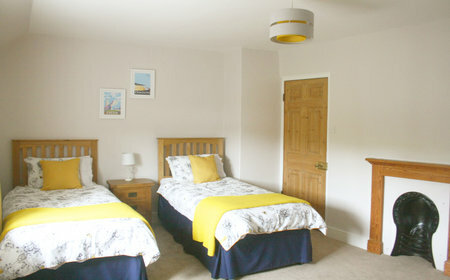 This spacious room has enough room for a cot and has just been redecorated. It has views out to the vegetable garden. The first bedroom has zip and link beds so you can have twin beds or a super king. It has recently been redecorated and has a new colour scheme. This bedroom has a cute window and views over the courtyard. There is also a dressing table, bedside table and wardrobe. As you pass through the iron gate and under the archway of sweet smelling honeysuckle you enter the private courtyard. 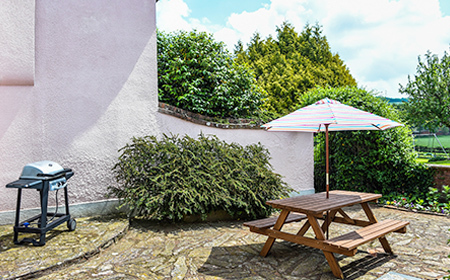 This south facing spacious area is perfect for summer BBQ's as we provide a gas BBQ, picnic table and an umbrella. The open plan lounge-diner has large comfy sofas for all of the family. There is a flat screen TV, with freeview and a DVD player. For some extra warmth there is an electric fire. To greet you we provide fresh flowers and a guest information pack on the dining room table. 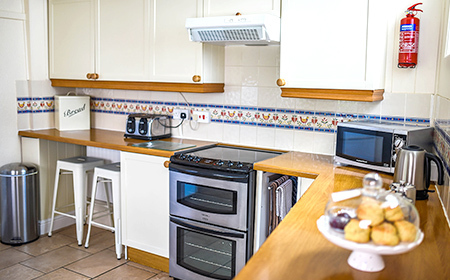 The country kitchen is complete with appliances including a microwave, fridge, freezer, electric cooker and dishwasher. Tea and coffee making facilities are provided along with all of the cutlery, plates, pot and pans that you might require.